After ten issues of Cycle Lifestyle, I’ve decided to call it a day. With a lot of hard work, the magazine has been profitable for four years – a fact I’m proud of – but with each issue the struggle to acquire funding has become tougher and tougher, now to the point of unsustainability. A heartfelt thank you to everyone who has contributed to the magazine – especially our ever-present and ever-funny columnists Gareth Jenkins and Adam Copeland, our superb and committed designer/illustrator Jon Haste, Dom Tyerman for his website jiggery-pokery in the early days followed by Jack Carr's recently, and our friendly and ultra-professional printers Barclays Print. Above all, thank you to Rebecca Watts for her poetry sourcing and writing, editorial support, unending good advice, and creative input. Cyclelifestyle.co.uk will remain online as a vehicle for the London Cycle Map Campaign. I’ll still blog occasionally on that topic and will continue to do so until London gets a Tube-style map and network of cycle routes worthy of the campaign’s demands. I’ve learned a lot from Cycle Lifestyle – to the point where a proper valedictory would be about as difficult to produce as another issue of the magazine. To cut a long story short: cycling is immensely life-enhancing, more people should do it, and the people who do cycle should be careful not to become so partisan that they put off non-cyclists. Cycle Lifestyle Editor from September 2009 to February 2014. Inspiration for writing these blogs comes from all sorts of places, including the many conversations I have with non-cyclists. Good advocacy requires not just consistency and determination but sensitivity to the state of mind of the people you are trying to convert to your way of seeing things. Yesterday I was talking to a non-cyclist from London and she made a remark which struck me as very wise. She pointed out that cyclists often put themselves in danger because they take up a position on the road which they believe they have a right to take but which is not the safest option. How true! Here are two examples. Sometimes cyclists observe that a vehicle in front them is not indicating left and therefore they conclude that proceeding down the left hand side of the vehicle is their “right of way”. In fact, cycling down the left hand side of a vehicle is by far the most dangerous thing you can do on a bicycle; the vehicle may suddenly turn left into a side street even though the driver was not indicating to do so. Hence, in this situation cyclists’ perception of their “right of way” puts them in grave danger. In the latter example, I am not even sure whether it is correct to use the term ‘right of way’ – which is why I have put it in scare quotes. Cycling up the left hand side of a vehicle is so dangerous perhaps it should never be considered to be a cyclist's ‘right’. In any case, some cyclists perceive it to be their right and therefore they neglect the danger: this is precisely the problem. Here’s another example. Sometimes when a cyclist approaches a T-junction (a junction which intersects with either the left or right side of the road which the cyclist is riding along) a car may simultaneously approach that T-junction. The cyclist, certainly correctly in this case, concludes that they have a right to proceed down the road: it is the driver’s legal obligation to stop at the T-junction and let the cyclist pass. However, the driver may not always see a passing cyclist. The human eye jumps from focal point to focal point, and sometimes a cyclist falls in the gaps in the driver’s vision and doesn’t get noticed. In correctly understanding their right of way in this situation, cyclists may be blinded to the risk that the driver hasn’t seen them. 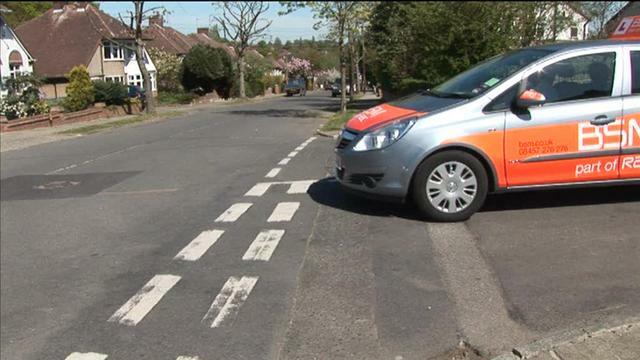 Cyclists may swoop past the T-junction assuming the driver will stop – and the driver doesn’t stop. I am not suggesting instead that the cyclist should, as a rule, completely stop for the driver. Rather, it is sometimes prudent to make small (or even big) adjustments in advance of a potential flash point when you are cycling. In the latter example, you can perhaps slow down a little until you are sure the driver has seen you, especially if the driver is approaching the T-junction very fast; try to make eye contact with the driver before you pass the junction. Or, if a vehicle is approaching a T-junction to the left of the road you are cycling along, you can quickly look over your shoulder to check that there are no vehicles behind you then move slightly to the right of the lane, to give yourself more room for manoeuvre just in case the driver approaching from the left does swing out into the road. This style of cycling is called riding ‘positively defensively’. It means knowing your rights and asserting yourself but always being aware that drivers do not necessarily know your rights. Sometimes proceeding on what you believe to be your right of way on a bicycle can put you in danger; I'll be interested to hear from readers of any other examples of this. Always proceed with caution on a bicycle if you would rather be alive than right. There has been singing in the tunnels as the government has announced that London’s catacombs will be open to the public as usual this week. Last week’s 48 hour shut-out saw millions of troglophiles forced into the daylight, where they were denied the opportunity to be squashed together in tiny compartments and ferried through dank underground vesicles from chamber to identical chamber. The most disorientated subterraneans were found wandering the streets like excommunicated ants, desperately hoping for a tunnel at the end of the light. 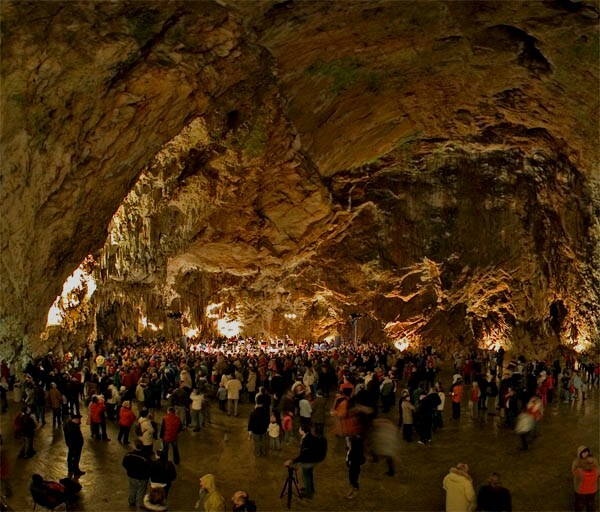 Mr Minotaur, a spokesman for the underground dwellers, roared: ‘What’s the world coming to? It’s the twenty-first century and I’ve been deprived of the right to experience dystopian misery on a mass scale first thing in the morning’. To add insult to injury, some lost souls experienced an even bigger increase in their levels of uprootedness after being encouraged to whizz freely through the fresh air on bicycles. Thankfully, millions will now avoid this dreadful fate for another week. BREAKING NEWS: Save the Traffic Jam campaigners condemn Cycle Lifestyle magazine. What are you doing next weekend? Fancy checking out cool bike stuff? The London Bike Show – the biggest in the UK – is running this Thu 13 to Sun 16 Feb at ExCeL, Royal Victoria Dock, 1 Western Gateway, E16 1XL, London. Cycle Lifestyle has attended the London Bike Show the last few years. All the big bike brands are there, making it the perfect place to find a bike or kit. There’s even a 500m test track to take alluring new wheels for a spin. The exhibition will be full of expert advisors on training and performance, plus there will be a programme of talks running in the Cycling Performance Theatre. For those that like stunts, tricks, and enthralling racing, there’ll be demos from the daredevils of the Animals WD-40 Action Sports Tour, road-bikers on the DMR Pump Track and Indoor Criterium, and BMXers on the iON Half Pipe. Come find out who has the Fastest Wrench in town and, on the Thursday evening, the 16 prize-winners for the Total Women’s Cycling Awards 2014. The London Bike Show is open Thursday 1-8pm, Friday 10am-5pm, Saturday 9am-6pm, and Sunday 9am-5pm. Ticket prices are: £20 on door/£16 online for adults (plus Thursday after 5pm, £7/5); £15/13 for students; and kids under 16 are free with adults. Your ticket also gets you full entry to three other cool events at the same venue: the Telegraph Outdoor Adventure & Travel Show, the Triathlon Show, and the London International Dive Show (weekend only). There’s a wonderful viral video doing the rounds, all about the seventies and eighties. Watching it made me feel both happy and sad at the same time. I suppose that’s what nostalgia does to you. 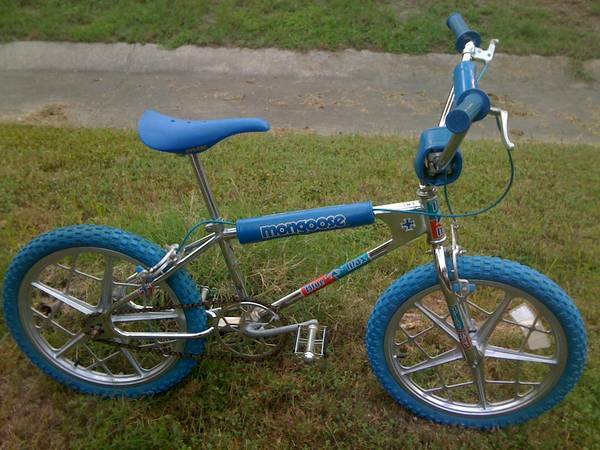 One of my fondest recollections of growing up in the eighties can be summed up in two words: bike rides! Like most young boys in London, when I wasn’t playing football on a windswept, muddy pitch, a large part of my leisure time was spent cycling around – just exploring the city’s backstreets, woods, parks and canals, or generally getting up to mischief. 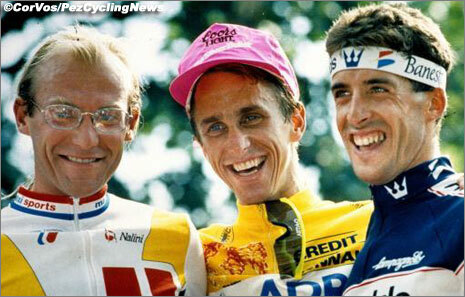 So I thought it would be fun to explore a few eighties cycling memories today. The first thing that springs to mind are the quirky bikes we had. 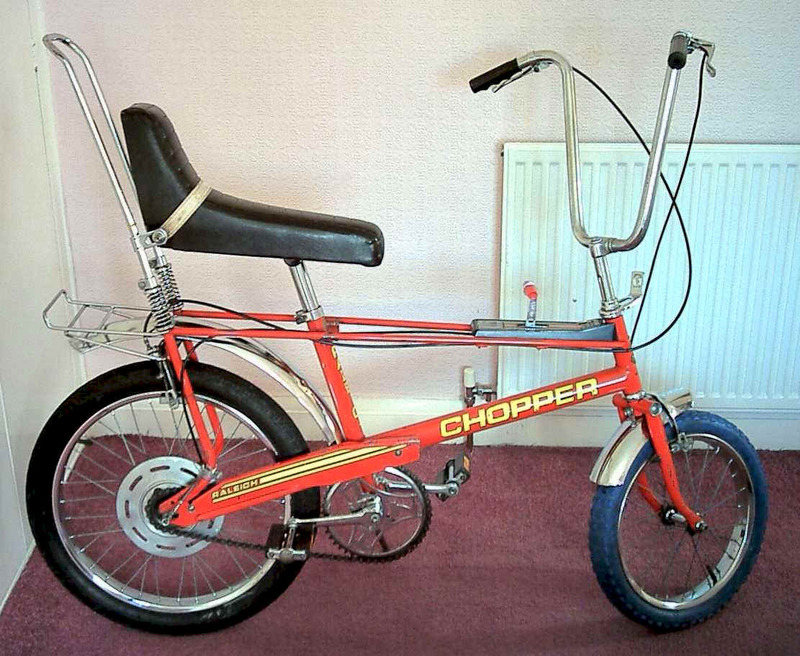 Lots of children rode Raleigh Choppers but throughout the decade these were gradually usurped by BMXs. 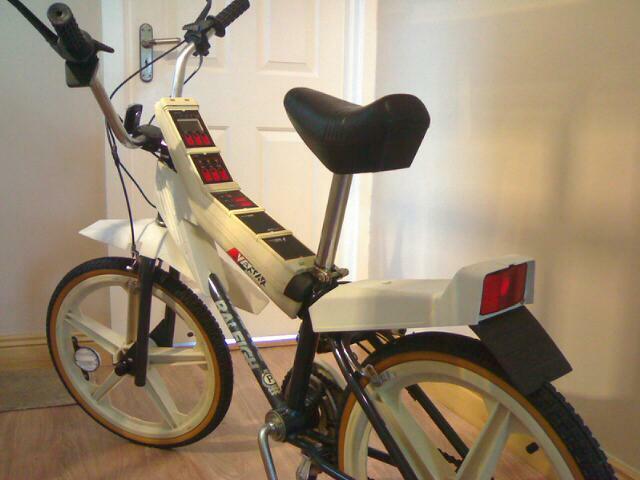 The luckiest kids had Raleigh Vektar bikes with sound generators that made a variety of spacey noises. The eighties were also a time for zany bike accessories. 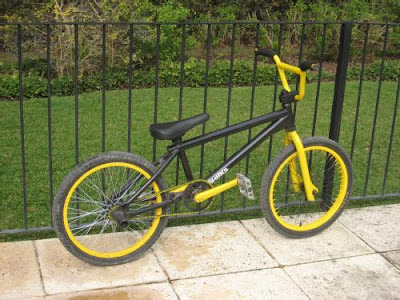 My own BMX proudly boasted brightly coloured ‘pads’ on its frame tubes, as well as luminous handlebar grips. 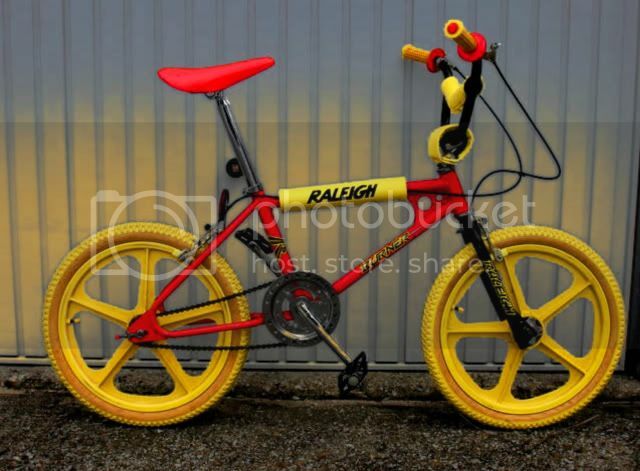 And, like all kids, I enjoyed having ‘spokey dokeys’ on my wheels, except when I had spokeless ‘mag’ wheels. One Christmas, my brother and I were given bicycle mileometers. These simple little devices worked by keeping a tally of each time a prong attached to a spoke on the rear wheel made passing contact with a mechanical sensor on a combination dial. We loved our mileometers, and obsessively measured the distance everywhere we went. My friend also had a simple bicycle speedometer, so I used to race along beside him to find out how fast I was going. When we weren’t outside enjoying ourselves, we did what kids today spend too much time doing: playing on computer games. 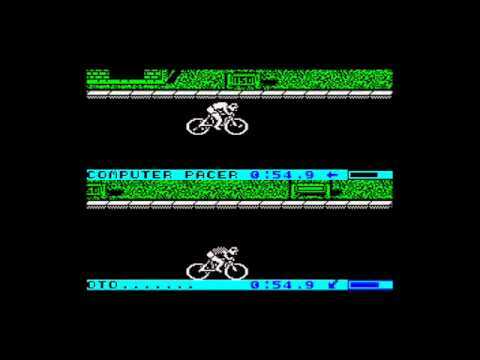 A few favourites were Daley Thompson’s Supertest and Summer Games, both of which featured ‘cycling’ challenges where you had to manically tap two keys in quick succession to gain speed. My poor Spectrum keyboard took a battering. There was also a game called ‘BMX Simulator’; at least we knew back then that it wasn’t as good as the real thing. The eighties also saw the rise and rise of cinema. From Breaking Away in 1979 through to American Flyers, Quicksilver, BMX Bandits and even Pee-wee’s Big Adventure, cycling occasionally made it onto the big screen. 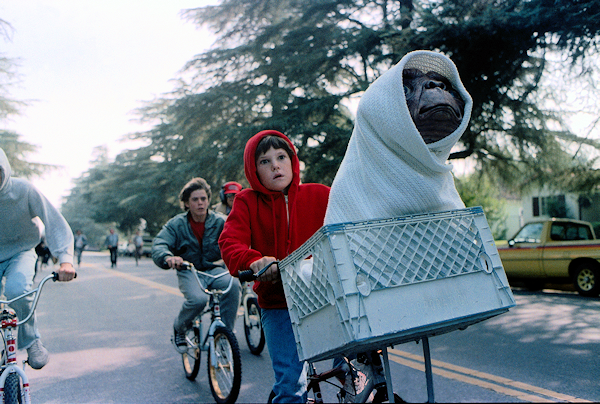 Needless to say, almost every kid who watched ET wanted to be Elliot, the kid who magically cycled in midair with his friends to carry ET safely back to his alien spaceship. Sports cycling and cycle touring hadn’t really taken off in the eighties – well, not in Britain. As far as I was concerned, the only people who cycled competitively were strangely-attired Europeans. 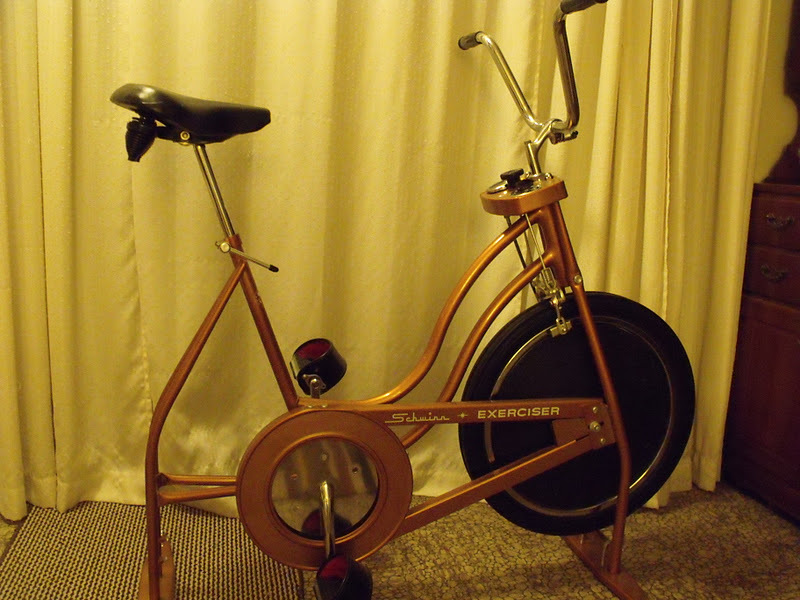 The closest that cycling came to being about fitness was when it was done on an exercise bike; every self-respecting yuppie owned one. Come to think of it, cycling wasn’t really about much in the eighties. It certainly wasn’t about angrily ‘saving the planet’, fighting against ‘consumerism’, or ‘reclaiming the streets’ from cars and trucks. Apart from being a useful way to get from A to B or hunt for a job, cycling was mostly about... the simple pleasure of cycling. There was an unselfconsciousness to riding a bike, just a natural exuberance expressed with a smile, a wheelie, and a gentle, technicolour cascade of spokey dokeys. Since the eighties, cycling has come a long way. But perhaps it would make even more progress today if we all remembered how innocent cycling was then. What’s it like to wear an invisible bike helmet? The hands-down most striking piece of bike kit to arrive on the European market in recent years is Hövding, the so-called invisible bike helmet. The result of a seven year design mission and oozing with Scandinavian urbanity, Hövding has garnered swags of design and innovation prizes and is currently a frontrunner for the European Business Awards 2013-14. So Hövding certainly looks good, but what’s it like to use? On first unpacking Hövding from an enticing yellow cube (the team has spared nothing in their attention to design), I was struck by the serious tech that is packed in the neck. At 780g, the collar is somewhat weighty in your hands, and certainly heavier than a piece of sealed styrofoam. Most of the weight comes from a carriage at the rear, which holds a gyroscope, accelerometer, helium canister, lithium-ion polymer battery, black box data system, and a full-scale airbag for your head. Nevertheless, careful ergonomic design means that the collar sits comfortably once riding, with the weight evenly distributed across your shoulders. My favourite aspect is the moment when you put it on; zipping, clipping, and being rewarded with a satisfying set of Rocketman blips and lights. The collar is certainly not unnoticeable, but after a week of cruising around with one, I’d adjusted fairly well. For greatest comfort, I’d recommend the Medium, as the Small is pretty tight. Hövding is currently only available in Europe, but the company is looking to launch globally, particularly in upwardly mobile markets where helmets are compulsory such as Australia, New Zealand, and scattered states in North America. Of course, in parts of the world where the sun always shines, the somewhat bulky high neck might prove tedious. After a couple of longer, sweatier rides, I felt ambivalent about the prospect of using Hövding for a long-distance cycle tour (particularly because the battery needs recharging every 18 hours), but if you’re casually commuting in chic, wintry European cities, then it seems just the ticket. There’s also the fact that it currently blows all competitors out of the market on safety testing. Hövding works by constantly computing your movements while cycling and comparing them against clever algorithms developed from extensive analyses of patterns of normal riding and cycle accidents. In the much-vaunted Internet of Things, one might legitimately ponder what data is being collected as you ride. You can, nevertheless, cruise easy. The box constantly tracks and records movement, ready to react in milliseconds, but that information is only retained in the event that the unit inflates (something I didn't actually test), and then is only accessible upon returning Hövding physically to the company for analysis. All in all, Hövding stands unparalleled in two respects. The first is style. Hövding lends immediate street-cred, particularly with its suave range of patterned cotton scarf covers, or shells. The second aspect, and the reason you may be seriously tempted to fork out the hefty RRP of €399, is safety. Hövding has significantly and consistently outperformed all competing helmets on the market. The debate about traditional cycle helmets is long and controversial, but there is certainly evidence that they need to be replaced frequently (as often as every three years), and that they can occasionally do more harm than good. Hövding allays all those fears. Further, although it is single use only, in many countries where it is available, it can be insured for replacement if inflated. Beyond the lucrative urban cycling market, Hövding is looking to expand into other areas, from equipping alpine explorers and ocean adventurers to providing support for those prone to life-threatening falls. As uptake rises and the company starts to claw back the very significant costs of innovation, testing and design, we can all look forward to being just a little more Scandi. Scores: Aesthetics 5/5; Functionality 3/5; Quality 5/5; Fit 4/5; Value 3/5. 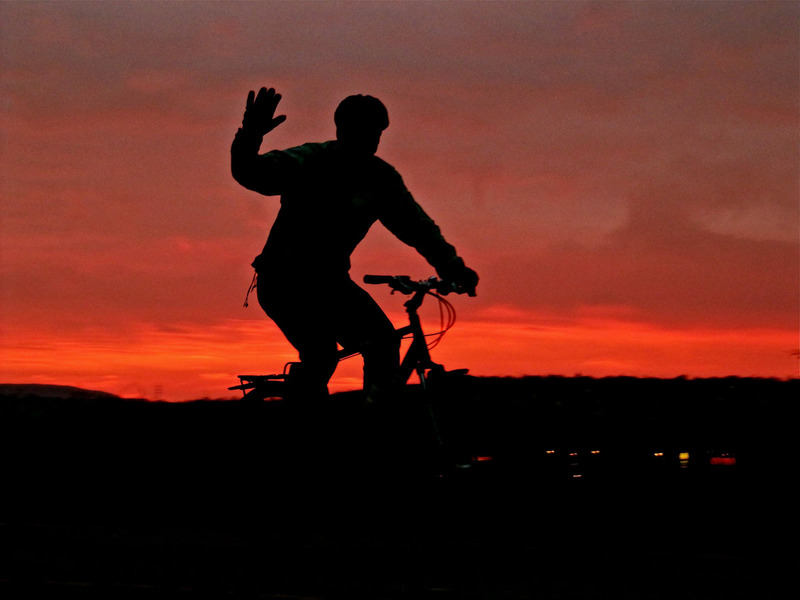 Read more about What’s it like to wear an invisible bike helmet? It’s funny how life’s little scenes can be symbolic. This evening, during rush hour, I heard a shouting match taking place across the street. A cyclist was effing and blinding at a driver and accusing him of cutting him up. The driver got out of his car and the two of them went head to head, at which point the driver started throwing punches. So I sprinted over there and pushed them apart, whereupon the driver started threatening me, before quickly realising I was basically doing him a favour. The cyclist carried on screaming obscenities so I turned to him and shouted (in my boomiest cockney accent: people in Cambridge are unnerved by cockneys for some reason) “shut up, or speak in a civilised way”. 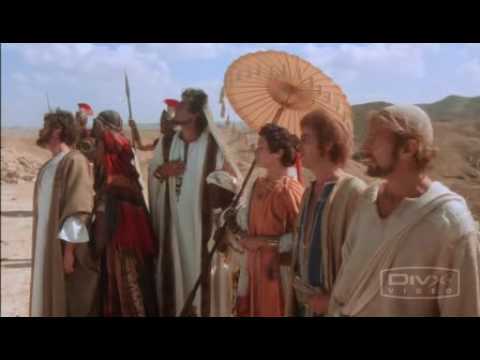 Then the driver piped up again, so I said the same thing to him. After a few minutes, they both calmed down. In the end, the driver apologised to the cyclist, citing the bad weather as an excuse (which was almost fair enough: it was hammering down, and the cyclist was wearing all black with a dim headlight), and offered his hand, which the cyclist shook. Then they went their separate ways. What struck me most of all was this: neither the driver nor the cyclist thanked me, or even acknowledged my presence when the confrontation was over. I’d have thought the cyclist would have been especially grateful given that, in effect, I negotiated him an apology and stopped him from getting beaten up. As for the symbolism, well, I’ve worked my heart out on Cycle Lifestyle for over four years, always trying to be moderate, always trying to adjudicate between the confrontational views of cyclists and drivers, and much of the time – to be honest – it feels like a thankless task. Never mind the fact that the general public thinks that cyclists are boring or annoying at best and irresponsible risk-takers at worst (despite Cycle Lifestyle's efforts to challenge these beliefs); it is much more frustrating that even the major cycle advocacy groups are weirdly just as likely to be obsessed with death and danger as the non-cyclists are, and just as indifferent to this magazine. I find it consoling, in a way, that Cycle Lifestyle's London Cycle Map Campaign – which is designed to increase harmony between road users in London, and which has also been ignored by the major cycle advocacy groups – has clearly influenced the government’s recent Central London Grid proposal. But, then again, the government, too, hasn’t acknowledged, let alone thanked, our campaign. I must confess that I wonder why I bother sometimes. The rest of the time, I wonder why others don't bother. There is something about contemporary life which seems to bring out a shouty malignant apathy in people – from do-badders to say-gooders and most of the population in between – while Britain, not surprisingly, seems to be getting less and less democratic by the day. After the altercation, I went into a shop where I ended up recounting the incident to the owner; he had heard the commotion but didn’t know what had happened. When I told him I had intervened he replied: “you should have just filmed it on your phone and posted it on the internet”. In a development with huge significance for the London Cycle Map Campaign, Transport for London has published a report entitled Central London Grid: Changing the Culture of Cycling in London. Much of the report reads like a recap of the points I’ve been making on cyclelifestyle.co.uk for years. TfL are promising to build ‘a new network of routes for a new kind of cyclist’ in the capital; ‘routes for people who want to cycle slowly, in their ordinary clothes, away from most of the traffic’. These ‘Quietways’, on ‘quieter side streets – along with routes through parks and on canal towpaths’, will provide ‘secret cycling passages through London’; they will ‘take you everywhere you need to go, directly and easily’. Ultimately, the network will ‘reduce conflict between other vehicles and cyclists’ and get ‘more woman and older people cycling’. The report rightly acknowledges that ‘many of these routes already exist – it is often just a matter of guiding cyclists to them’; in addition, the network will incorporate the existing and forthcoming Cycle Superhighways. The overall goal will be to ‘use the quietest roads possible while balancing the need for directness, usability and safety’. ‘Critically’, the routes will involve ‘fewer or no heavy goods vehicles of the type which are hugely over-represented in cycling injuries and deaths’. As for how the network of Quietways will be engineered, these will be ‘low intervention routes’ on which ‘segregation will not usually be necessary’, since ‘traffic is lighter and travelling more slowly’, and (once again) ‘there are fewer or no heavy goods vehicles’. It is difficult to overstate the consistency between all of these points and the message the London Cycle Map Campaign has been disseminating for years. For instance, almost nothing in the report hasn’t already been argued for in the 100 Reasons for a London Cycle Map I compiled last year. To this extent, the Central London Grid report represents a major step forward for the campaign, not to mention a vindication of our efforts, which have been almost entirely unsupported by the major cycle advocacy groups in London as well as nationally. However, the campaign champagne will remain on ice until the final make-up of the promised network has been established. The report features a few pages of maps showing proposed cycle routes in central London. TfL is inviting feedback on these routes and on any other routes that ‘you think might be missing’, as well as general feedback on the Central London Grid. Also delayed for the time being is ‘any decision about the design of the signs and markings’; TfL needs first to ‘consider the findings from focus groups and research that we commissioned’. I have written to TfL to emphasise the specific proposals that the London Cycle Map Campaign favours in regard to how London’s cycle routes should be organised, signed and mapped. You can do the same, or explain your own views to TfL, on grid@tfl.gov.uk. The deadline for feedback is 14 February, 2014. For almost four years, [Cycle Lifestyle magazine has] been running the London Cycle Map Campaign, calling for a single 'London Cycle Map' that is clear and easy to use and corresponds to a unified network of signed cycle routes throughout London: the cycling equivalent of the London Underground Map. ...as well as through numerous press releases and blogs which can be read under the ‘London Cycle Map’ menu heading on www.cyclelifestyle.co.uk. In large part, we have championed the London Cycle Map envisaged by Simon Parker, which employs his clever Compass Colour System. The Compass Colour System shows how London’s tangle of cycle routes could be re-organised as a series of long, straight, parallel coloured routes. With signs and markings on the roads corresponding to those routes, cyclists could get from anywhere to anywhere on the network by following no more than three coloured routes – an economical solution to mapping, coding and signing the routes on the existing cycle network. Has TfL been listening to the London Cycle Map Campaign all along? It certainly seems so, but who knows. I just hope they take this latest piece of advice. After all, the success of the cycle network they are promising will depend on how easy it is to use, and to my knowledge no-one has come up with a better blueprint for creating a useable network of cycle routes in London than Simon Parker. We’re almost there; let’s hope it’s not so near, so far. Once again, TfL can be contacted on grid@tfl.gov.uk. Deadline 14 February 2014. Here we review road cycling website ProBikeKit UK and the Bianchi Milano Modica jacket. This review is assisted by Neil Houlsby, who recently competed in the Team GB age-group team at the World Triathlon Championships. ProBikeKit was established by cyclists in Cumbria in the early 1990s and began trading in its current state in 1998. It has become a globally-recognised brand for bicycles, gear and accessories, particularly in the road cycling sector. Taken over in March 2013 by The Hut Group, a leading online lifestyle and sports retailer that holds brands such as Myprotein and Myvitamins, ProBikeKit remains expert-driven and stocks the highest quality global brands for road riders and weekend warriors. The vision of ProBikeKit from the beginning, which The Hut aims to strengthen and enhance, is to be a portal or hub for a community of cyclists (and, eventually, triathletes and runners) – “to demystify the technology and advise you on the perfect choice”. We found the website slick, fast and easy to search. In appearance and coverage, it is quite similar to Chain Reaction Cycles. It has a much cooler, cleaner interface than Wiggle, though doesn’t quite replicate that site’s streamlined Collect+ returns policy, with a slightly more convoluted (but still straightforward) online message centre. We appreciated the nascent Triathlon & Running section of the site and found it on the whole easy to navigate with great product availability. ProBikeKit also offers free UK delivery and has a massive January sale, so check it out now! In keeping with its emphasis on community, ProBikeKit maintains a blog, updated on average twice a month but it has really ramped up in 2014 and looks to be updating weekly with interesting content. The blog is supported by The Peleton newsletter (not this Peleton), a Facebook page, and a Twitter feed. ProBikeKit also offers Cycling Clubs Sponsorship and an Affiliate programme with special incentives for affiliated groups, plus discounts for customer reviews, which are a great resource. We know that the team at ProBikeKit is keen to keep increasing the functionality of the site, to make it more comprehensive, more interactive, and more communal. We look forward to seeing it evolve! From Neil: First impressions mean everything, and mine were positive – the Bianchi Men’s Modica Jacket looks great, with a vibrant Italian style. With a comfortable lining, I would also wear this jacket as a casual, non-training top, but I shall assess it on some more objective measures. My first piece of advice would be to purchase at least one size larger than you would normally. ‘Large’ is advertised as a 38” chest; at 5'11 and 68kg I would not consider myself large, but this jacket is certainly snug. The sleeves are a bit short and I would certainly not go smaller. Perhaps this is why the available sizes range S to XXXL. However, the material is fairly stretchy, and being a technical piece of kit, having a cut that fits close to the body is appropriate, as nobody wants to take a parachute for a ride. Regarding weather resistance, the jacket is advertised as warm, wind resistant with a ‘500g/m2 permeability to water vapour’ (whatever that means in practice!). The top is lightweight, but despite this I found that it was surprisingly warm. Worn over one thin base layer, I was perfectly content on a breezy 5oC winter morning. There is some resistance to wind chill, and I would describe it as ‘splash proof’, but in more extreme conditions I would require a more heavy duty top. With a high neck line and full-length front zip one can adapt to changing temperatures easily. The jacket scores well for practicality. Like most good cycling tops it contains two deep back pockets that can hold ones phone, keys, spare tube etc. The waist and cuffs are elasticised to stop them flapping around. All in all, this top has a high-quality lightweight feel and looks great. It is certainly suitable for your average cool British autumnal/spring conditions, but if you are a "whatever the weather" rider you will need a more heavy duty top also. Even at a reduced price of £99 (RRP £135.99) this item does not come cheap, but I would consider it a worthwhile addition to one’s technical (and casual-wear) wardrobe. Scores: Aesthetics 5/5; Functionality 4/5; Quality 5/5; Fit 2/5; Value 4/5. 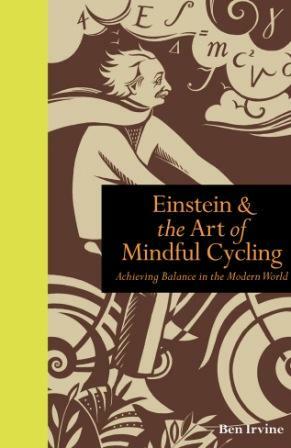 Those of you who follow Cycle Lifestyle will know that I’ve written extensively about the psychology of cyclists and non-cyclists. I’ve tried to understand why people do and don’t cycle – the perceived benefits and drawbacks to cycling. I’ve discussed ways to attract more people to cycling – for instance, electric bikes for people worried about fitness and sweating, and a London Cycle Map to address concerns about safety and navigation. But most of my musings have been based on conversations and anecdotes. So, to get some more systematic evidence, I’ve joined up with an independent market research company – Actionline Research – to create a survey about cycling issues. Much of our survey is about electric bikes, because we believe the public perception of these bikes – despite their growing popularity – isn’t currently well understood. To help us learn more, please click on the link below and fill in the survey. 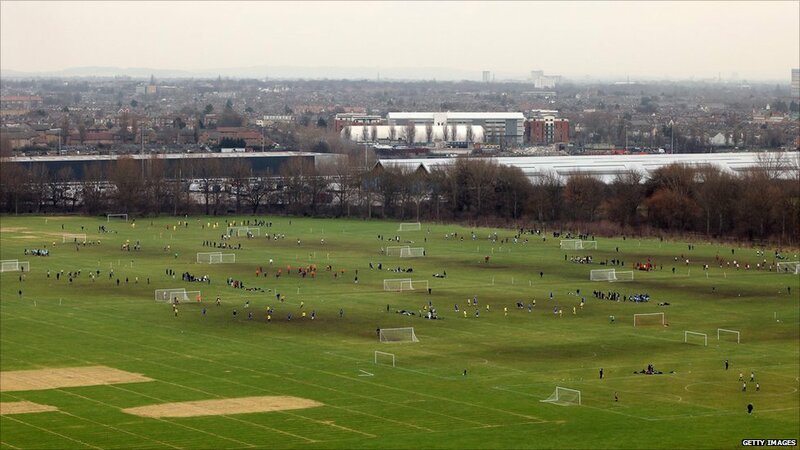 It will take you under 5 minutes, and non-Londoners as well as Londoners are encouraged to take part. We’d love to have lots of responses, so it would be great if you could distribute the link through your mailing list, add the survey to your website, or share it on social media. I'm sure many of the topics are of interest to you also, so I'd be glad to share some of the key findings in appreciation of your help. And courtesy of the Electric Transport Shop in Camden, all participants can enter a prize draw to borrow an electric bike for a weekend.